The beginning of March was brutal weather wise. The north winds were whipping 20-35 mph for 2 weeks straight minus a day or two. The positive was that it really helped to cool the water down along the coast of the Azuero Peninsula to under 75 degrees. Not wanting to take a beating we hugged the coast all the way past Punta Naranjo on many of the days. 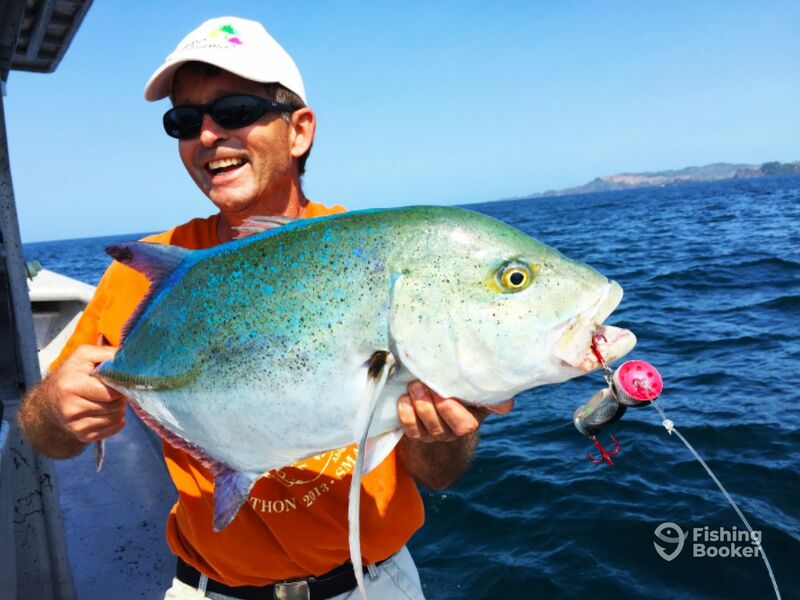 This made for smooth rides with the option to throw the popper on several hot reefs along the way. 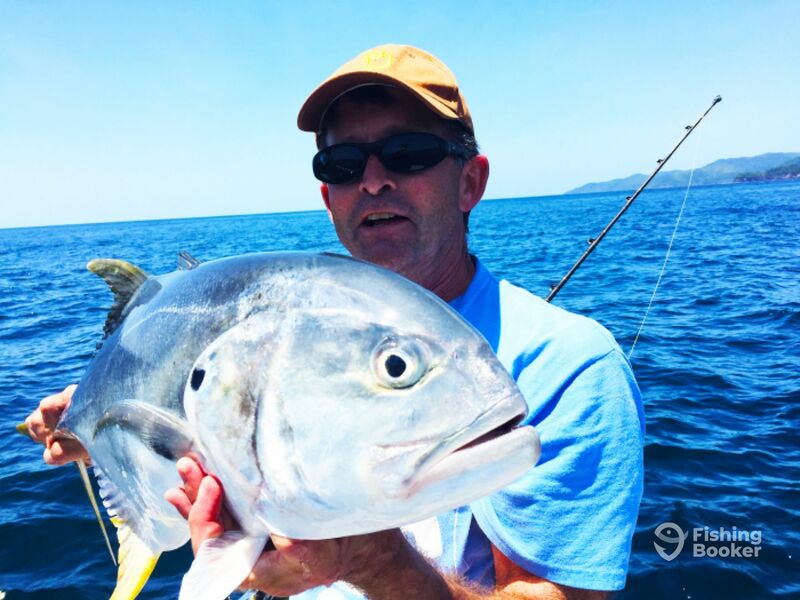 We had good luck with several Jack Crevalle and Blue Jacks. 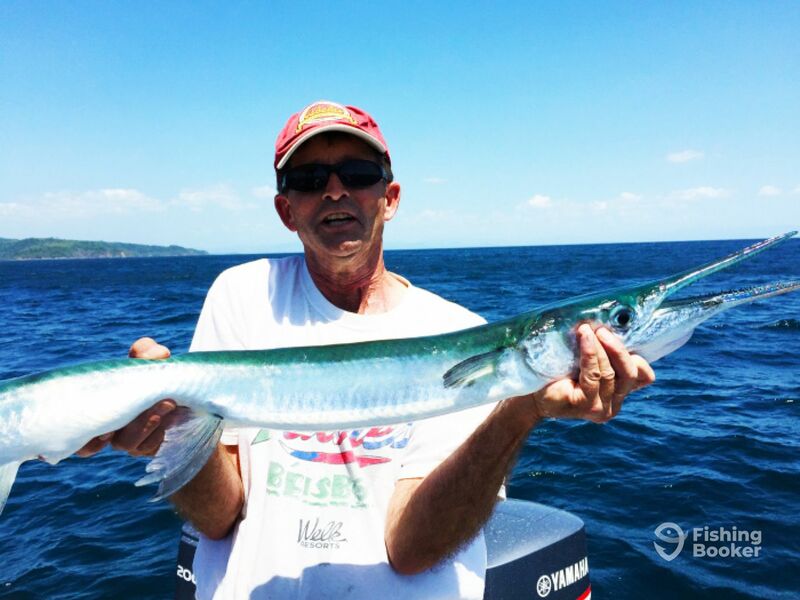 Once around Punta Naranjo we typically trolled live bait or Rapalas. 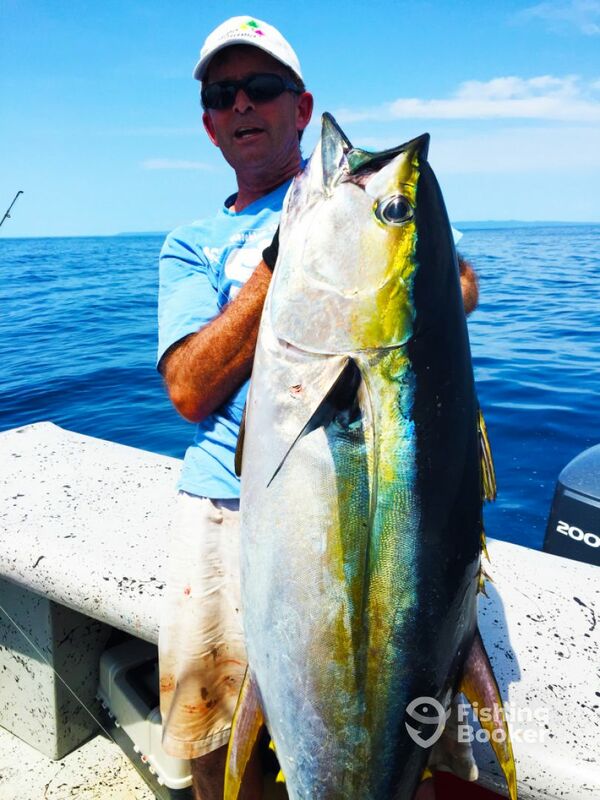 The Yellowfin we hooked up along the coast were all smaller in the 20-30 lb range. 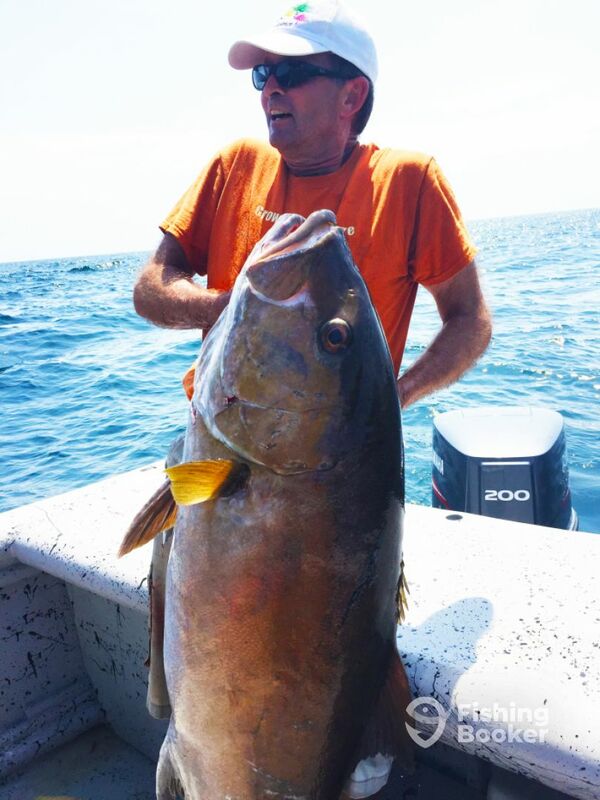 We did better on the Amberjack side with one weighing in over 80 lbs. 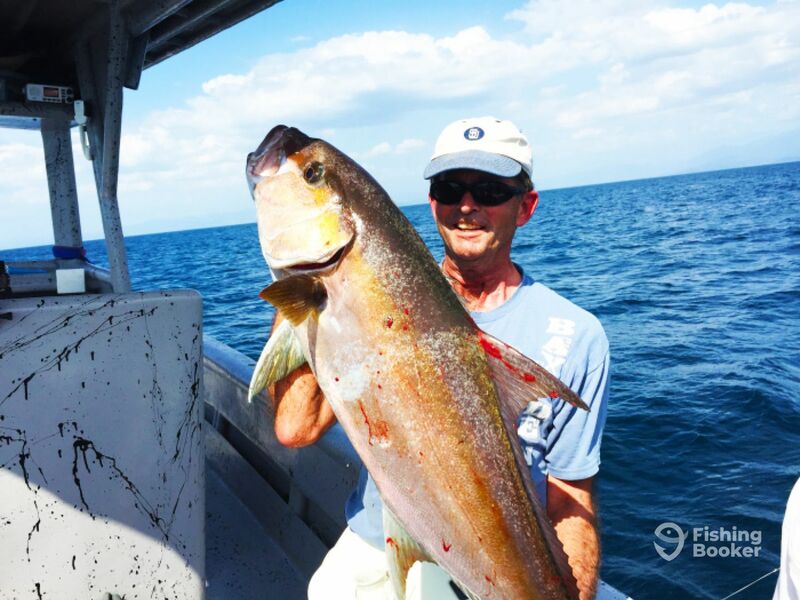 All the Amberjack we caught were caught with live bait. 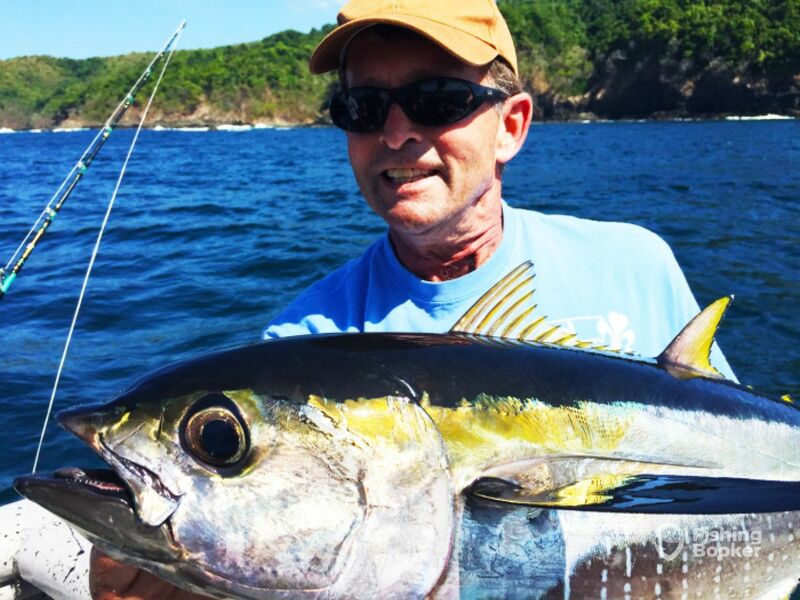 Repeat and repeat until the winds finally died down and we were able to run offshore to find the schools of big Tuna. Once we did the action was fast and intense. The Tuna are in. Pictures below. 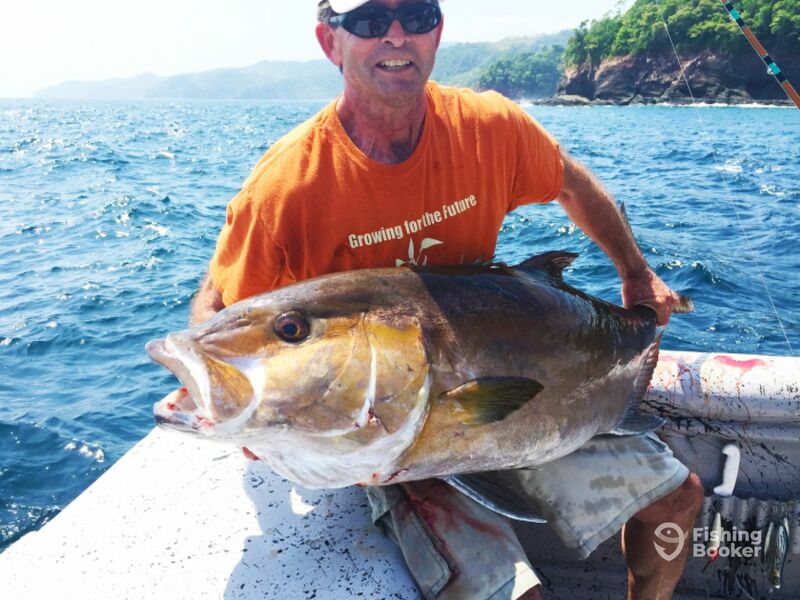 Captain Lauren Livingston prides himself on offering great fishing experiences with no hassle or hidden costs. 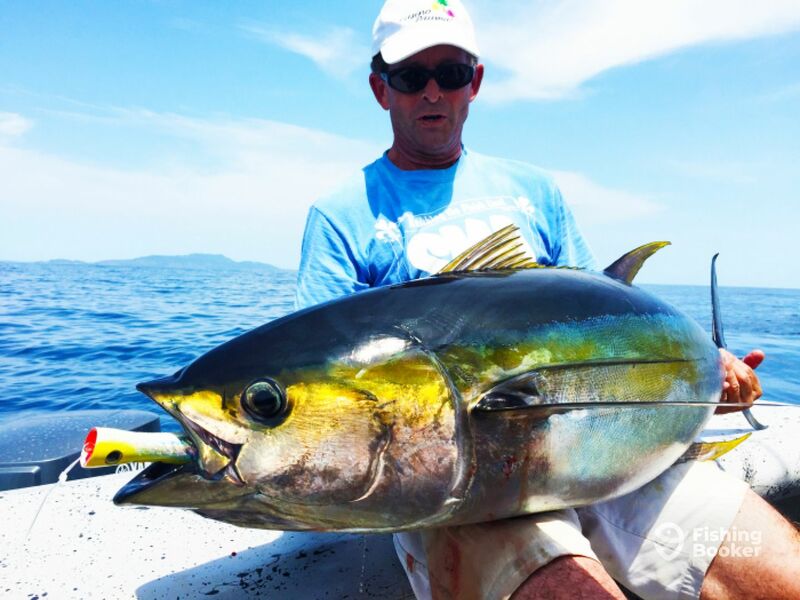 He loves all species, especially taking Yellowfin Tuna on poppers. 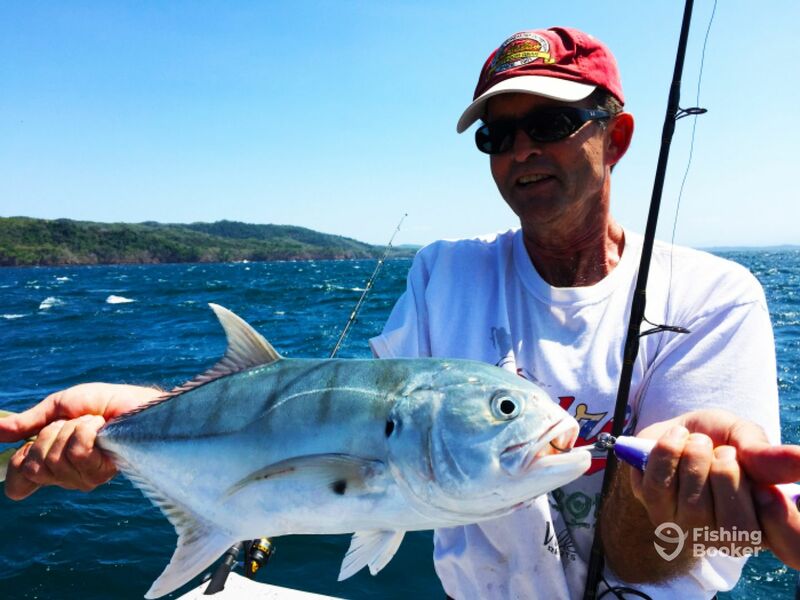 Let him show you just how good the fishing along Panama's Pacific Coast is!